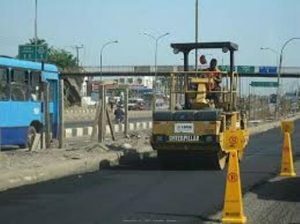 The Federal Executive Council (FEC) has approved $995 million dollars for the reconstruction of the phase II of Abuja – Keffi – Akwanga – Lafia – Makurdi road. The Minister of Power, Works and Housing, Babatunde Fashola, told statevHouse correspondents at the end of the Council’s meeting held at the Council Chamber of the presidential villa, Abuja, on Wednesday. He said the money for the execution of the project would be obtained from the China-Exim Bank as loan. “I need to stress that this the section that comprises 16:0 kilometers, which is the Lagos by-pass and the section that also comprises 251.7 kilometers from Ninth Mile through Otukpo to Makurdi. ”The reason is that it is the Abuja -Keffi road which was awarded in 2015, for which finance is now available. ”So, this is the second phase for which the finance is not yet available but the award is the pre-condition to now get the loan from the China-Exim Bank, so that by the time work on the first phase finishes, we can seamlessly continue the second phase all the way to Makurdi,’’ he said. The minister also disclosed that another N15.45 billion was approved for the reconstruction of 58.9 kilometer Magama – Kwajani – Ningi road connecting Bauchi and Kano states.